Shopper Approved is an exciting success story. Built from humble beginnings with no outside funding, it became the 12th fastest growing software company in America in just five years. Tucked away in Ogden, UT, Shopper Approved started out with the odds stacked against it, and almost didn’t happen. In 2015, just five years after opening its doors, Shopper Approved joined the ranks of some of the most prestigious companies in the world, when it officially ranked #192 on the Inc. 500. 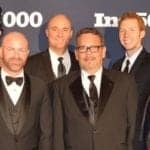 In October 2016, co-founder Scott Brandley and several people from his team attended the Inc. 500 Conference and Awards Gala. Here is the exclusive interview with Scott about his journey with Shopper Approved, and what it was like building an Inc. 500 company in record time. Interviewer: Scott, when did you get the idea for Shopper Approved? Scott: It was back in 2008. One night I was sitting at home, and the idea came to me that there needed to be more options for people to leave a rating and review after they buy online. I think I got the idea from going to Amazon and seeing what they were doing, and realizing how valuable ratings and reviews were, and that no other websites had that. The next day, I went and pitched the idea to my dad, Dave Brandley (who’s my business partner) and the rest of the office and it initially got shot down. It was probably the best decision at the time, because honestly, I don’t know if we had the resources needed to pull it off back then, so it ended up getting tabled until 2009 when I finally convinced my dad to let me try to build it. At that point, I put a small team together comprised of me and Garrett Pierson, along with Zach, our programmer, and Duke, our graphic designer, and we built the software over the course of about 6 months. Interviewer: All right. The idea came in 2008. 2010 is when you launched it. You recognized a need in the market. When you got started on Shopper Approved, did you know that it was going to be as successful as quickly as it was? Scott: Well, it actually wasn’t very successful at first. We launched it in March of 2010 and it grew very slowly until October of 2012. That was kind of like the turnaround point, when we opened up our first call center and started selling directly to companies. Interviewer: Okay. What was the methodology before that? Scott: We just did completely online marketing just through Pay-Per-Click (PPC) and SEO. Interviewer: Okay. Until you were doing outbound sales calls the company didn’t really take off. Interviewer: When you first started Shopper Approved, what was the initial mission? What was your goal? Scott: Just to be able to collect customer ratings and reviews like Amazon. We knew we needed to collect a lot of ratings and reviews. We tried a lot of different things to try to make that happen. We kept striking out. Our conversion rate was really low. Then one day we stumbled across a concept called micro-commitments. What we did is we had an initial survey we put on a shopping cart right after the customer made a purchase, and we just put 1 or 2 simple questions in that survey. Then when they filled out those questions, they made a micro-commitment and then we expanded the questions down. Once they’d already made a commitment, it was very likely they would continue it. We were seeing conversion rates in the 40% range. That changed the game because nobody else had ever seen conversion rates like that. Interviewer: When did you guys start doing that? Scott: That was right off the bat. Probably within the first month after launching. Interviewer: What’s unique about Shopper Approved and why is it so great for its customers and its employees? Scott: Well, I think one of the things is it’s high conversion rate through those micro-commitments. We’re the only company that has really mastered the idea of the initial survey and the full survey. Consumers get an initial survey right after they buy that discusses their overall shopping experience to that point. Then we give them a full survey after they receive their product. We combine those 2 surveys together to give our clients their rating. Then we use that data on their shopping certificate on their website and then send it to Google, Yahoo, and Bing. Interviewer: If you had the chance to start over with Shopper Approved, what would you do differently? Scott: That’s a good question. I really don’t know if we would do anything different because when I look back, we needed those first few years to really figure out what it is we were actually doing. We wouldn’t have been able to perfect the system and scale it like we did without going through the grind of just getting things up and running for those first couple of years. We made a lot of mistakes, but those mistakes allowed us to make the product better and better. Then it got to the point where we could get Google on board and then Yahoo and Bing followed suit. All of those things had to happen before we could actually open up a call center and sell it. Interviewer: Getting Google on board, was that a big accomplishment? Interviewer: Is that fairly difficult to do? Scott: Yes. At the time there was no application to get your reviews syndicated to Google type of thing, so I had to just do research, hours and hours of research, to try to find a way to get a hold of somebody at Google so that we could get our feed syndicated. Eventually, I got a hold of the right person and we put a deal together. Interviewer: That’s great. What’s the biggest trial you’ve faced with Shopper Approved? Scott: I would say our competition. Competition is getting better all the time. We’ve had several who are competitors who have received millions, one over $100 million in venture capital, but many of them have received tens of millions of dollars in venture capital in order to build their market share, improve their product, do more advertising. We are boot-strap from day one, which I think is better. I don’t want to sell out and have my customer’s experience put second to the investor’s return on their investment. That does give us a challenge because we have to innovate without a multi-million dollar budget. So far, we’ve been able to do it. It’s definitely a challenge and it’s always going to be there. We’re always going to have to hustle and innovate in order to succeed. Interviewer: Going forward, what do you think the company’s biggest asset in keeping up with competitors that have these tens of millions of dollars to spend? Scott: I think that we have to always be thinking about what the next big innovation is in ratings and reviews. Just trying to stay one step ahead of what the market is doing. What our competitors are doing. One of the biggest opportunities I see is the local market. With over 22 million local businesses I think there’s some really big opportunities there for us that our competitors really haven’t focused on. That’s something we’ll probably do in the future. Interviewer: What would you say was your moment of success with Shopper Approved? Scott: The big turning point was when we got Google on board. That was a game changer because that all of the sudden opened up syndication. Before that, our whole sales model was “We’ll help you post ratings and reviews on your website.” The moment we got the Google deal, our ratings and reviews were on Google. In multiple key places on Google. We leveraged that relationship to get the Bing and Yahoo relationship. We leveraged those relationships to get other relationships. That was a big turning point. Another one of the big moments of success happened about two years in, when we took a leap of faith and opened up our first call center. That was a huge risk for us because we’re very conservative by nature. We never saw ourselves as ever being the type of people that would own a call center. I always had a negative impression of what a call center was like. Starting a call center ourselves was way outside of our comfort zone, but it’s definitely paid off. The people who work at our call center love what they do and enjoy a professional sales atmosphere. It’s definitely a different type of energy than what we have here in our main offices but that’s to be expected in a sales environment. But I think they really enjoy the faster pace. Bottom line, if we weren’t willing to take a risk and try a different marketing channel outside of our comfort zone, we never would have experienced exponential growth. Interviewer: Awesome. That kind of ties in to the next question, how important have good employees been to your success? Scott: They are critical to our success, especially because we have other companies that we are running and building and so we have to have amazing people to run Shopper Approved in order to build our other companies. We only try to hire rock stars. That’s what we call them. As the company has grown we’ve become more and more picky about who we hire. They have to be self-starters, independent, positive, willing to get whatever work done that needs to be done – and no drama! Interviewer: That’s great. Describe the culture of your company. Scott: Overall, we like to keep things laid back but professional. We like to have fun. Everybody gets their work done but there’s a lot of flexibility and trust that has been earned by our team. We like to go out to the movies and lunch and just goof around, but still know that things need to get accomplished and move forward. It’s a very positive environment. Interviewer: Does your culture enthusiastically inspire and reward creativity and innovative thinking? Scott: I don’t know if it’s enthusiastic but I think people enjoy working here and we try to encourage people to be innovative and creative and do their best. Interviewer: Most satisfying moment in Shopper Approved history for you? Scott: When we made the Inc. 500. It was awesome. Interviewer: Did you expect to make the Inc. 500? Has that always been a goal for you or has it always seemed out of reach? Scott: Well, I’ve known about the Inc. 500 for a long time. When I first realized that we could actually make it, it was about a year after we opened the call center. I knew we had hit the minimum that you had to make. You had to hit $100,000 in order to meet the minimum requirement. Then 3 years later you had to make over $2 million. I knew that we had hit the minimum and that there was a chance that we could possibly hit the $2 million mark. I just crossed my fingers and hoped, and things just kept getting better and better, and pretty soon I was counting down the numbers from 500. I estimated that we would get to about #250, then we hit #192. Interviewer: That’s great! So, you got to take part of your team to the Inc. 500 conference in October. How was that? Scott: We lived like celebrities. It was really fun. We got to dress in tuxedos and we got VIP status because we took so many people with us. We sat in the front at the conference, and our table was front and center at the awards gala. It was one of those once-in-a-lifetime experiences that you never forget. Interviewer: Is Inc. 500 a goal for the next few years? Scott: Yeah. Based on our current sales, we’ve already made the Inc. 500 again in 2016, which is very hard to do back to back. Then our next goal is to have some of our other companies hit the Inc. 500. We’re going to start working toward that more. The way the Inc. 500 works it’s based on growth. Shopper Approved will still be in the Inc. 5000 after next year and probably for the next 10 to 15 years which is still pretty cool, but the Inc. 500 is the jewel. 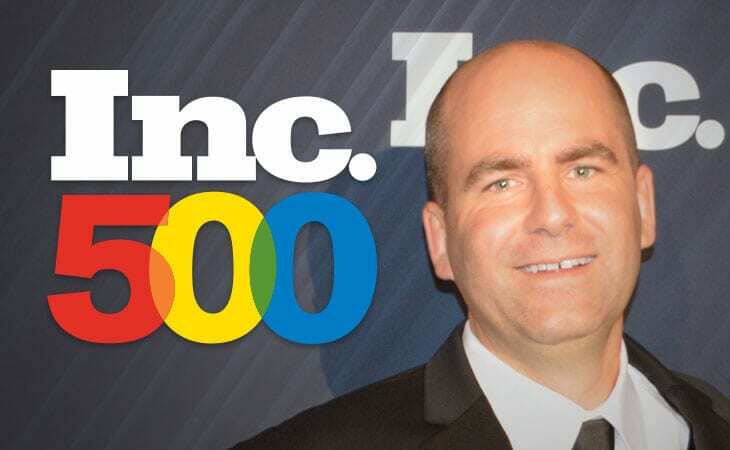 Our goal is to focus on getting the next company to the Inc. 500. Interviewer: That sounds really exciting. Interviewer: What do you attribute Shopper Approved’s success to? Scott: I think that the main key to our success is our drive for constant innovation and our willingness to think outside the box. We looked at all our competitors and tried to figure out what they did best and what they did really bad at, and then made every effort to keep the best parts and throw away the worst parts. That’s a winning formula for any business that you want to build. Then we just ran from there and just kept making things better and better. The other big success point would be the call center and having an amazing sales team that just works super hard to grow the company. It’s much better to sell somebody a product when you’re talking to them on the phone one on one than if you’re throwing ads up on their computer screen. It’s much more engaging. You get a much better response. It’s definitely a win-win for the company but also for our customers. Interviewer: That’s a good tip. Really good tip. Okay, last question. Where do you see Shopper Approved in the next 5, 10, 15 years? Scott: Well, I want to continue to innovate and constantly try to improve the product. I want to get bigger clients on board so that we can become the number one leader in the space. I also want to stay independent. I don’t ever want to have investors or venture capital to influence what we’re doing. I don’t want to ever have to account to shareholders that are only interested in profits. I want to account to our customers and make them the best product that we possibly can.